Although there are lots of jazzy characteristics, in a record store (remember them?) this CD would probably be in the rack marked ‘Easy Listening’ which is really what it is. Ms. Voss (aka Sundae) has a suggestion of Billie Holiday in her voice and she was actually voted Seattle Jazz Vocalist of the Year in 2017. Despite this accolade, I found the jazz content to be quite low which begs the question as to what is jazz and what isn't? Particularly when it comes to singers. Embraceable You shows lots of vocal colour and another of the better tracks is The Best Is Yet To Come, a bouncy swinging version; rather romantic because the singer and guitarist were recently married. 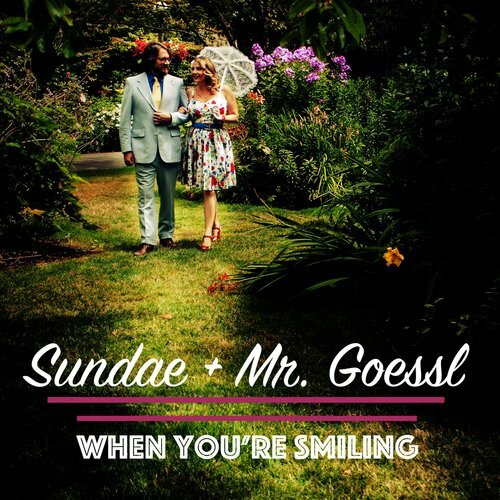 Goessl proves to be an adept guitarist, providing a sound harmonic basis for his new bride’s singing as well chipping in with a few short solos and providing the backing vocal on 'S’Wonderful. Sundae, herself, adds some additional lines on that maverick keyboard, the melodica. 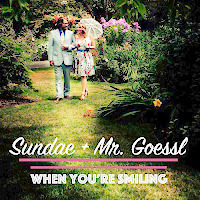 The CD, When You’re Smiling was self-released on March 6.